What Compression Leg-wear - Does NOT make me looks like I'm wearing Compression Stockings? 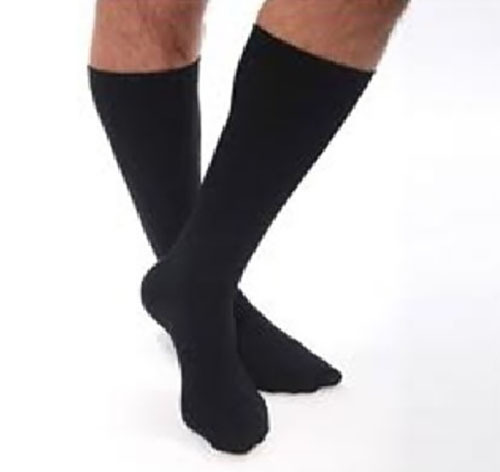 My Doctor wants me to wear Compression Stockings, can you provide a something that does not look like it's a Compression Hose? I don't want everyone to know I'm wearing compression stockings!! I know compression stockings work because my mother, and my grandmother wore these stockings. They are telling me to start wearing these stockings early in my life as a preventative, so hopefully I will not have the vascular problems they have. I'm a business woman, on the go and yes I'm on my feet constantly. I'm sure my story relates to alot of women. I researched the web educating myself about the hereitery facts on venous insufficiency of the legs. I actually spoke to a lady @ rescuelegs.com with the concerns I have. Wow!! she was right on it, she had similar heritery traits and began wearing compression stockings early in her career and has wore them for more than 25 years. She informed me how technology has so advanced with all the variety of styles and colors to accomodate different life styles. She suggested (3) different compression items. No one would ever know these are compression stockings or socks!! The Sheer Compression Stockings come in Knee Highs, Thigh High's and Pantyhose / Tights,great for business women! Providing the most popular compression levels for most vascular problems, the 15-20 mmHg & 20-30 mmHg. Also nice colors for your legs, to blend with your business atire. 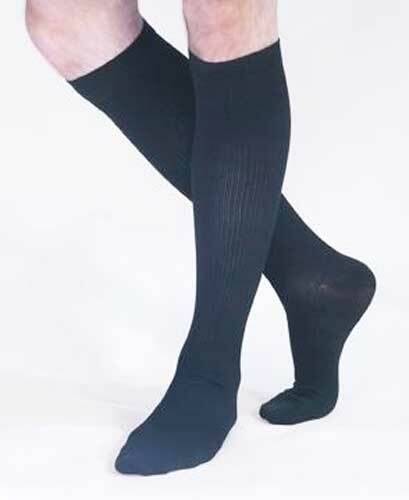 The Support Trouser Socks are ribbed design, great looking with dress or casual slacks, with assortment of colors. The Athletic knee socks are cushion foot design for all sorts of sports related activities, also available in the crew length if needed.